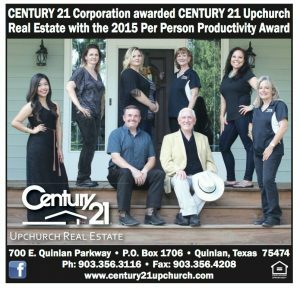 Upchurch Real Estate was recently awarded a Century 21 Award for 2015 Per Person Productivity Award! We couldn’t do it without our great customers, referrals and support from this wonderful community! Thank you from everyone at Century 21 Upchurch Real Estate.